I sometimes like to join bot challenges to improve my programming skills and logic reasoning. The Fruitbots world is a board with different kind of fruits lying around. 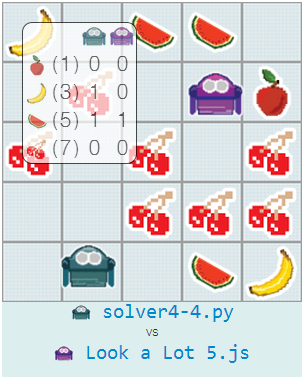 The goal is to collect more fruits than the opponent bot, of many types as possible.